I revisited this guide and had to make some changes in order for it to work in the current year. Please read Boxstarter guide for Windows development, 2018 edition alongside this guide, as some guidance has changed. With the release of Windows 10 Technical Preview, I started thinking seriously about trying it out and begin migrating my apps. But on the other hand, I didn’t want to take my existing dev/play machine and potentially break something that’s working well. So I figured i’d spin up a new VM in order to try it out. Then I began thinking about all the time I would have to spend just installing and configuring my apps, SDKs, editors, what have you – Visual Studio alone takes multiple hours, not to mention the plethora of Windows updates. Luckily, I remembered seeing in Scott Hanselman’s Ultimate Dev Tools List 2014 a solution for automating installation & configuration: Enter Boxstarter and Chocolatey. Install Chocolatey & Boxstarter, write scripts, press enter, and voilà! Fresh dev machine. You know NuGet, right? It’s a package (3rd-party library) manager for software development. Chocolatey is built on NuGet, but the difference is that it’s an application manager for your computer. If you’re familiar with *nix systems, it’s essentially apt-get for Windows. A command-line interface for installing apps might not seem like a big deal – until you realize that most apps delivered via Chocolatey can be A) installed unattended (does not require user input) and B) can all be updated with a single command. It’s way better than googling an app, visiting the official website, finding & downloading the latest version, installing & clicking through multiple dialogs, and ultimately forgetting to delete the install. I’d go into more detail, but (again) Scott Hanselman has a nice write-up on Chocolatey, and the official Chocolatey.org has clear instructions as well. 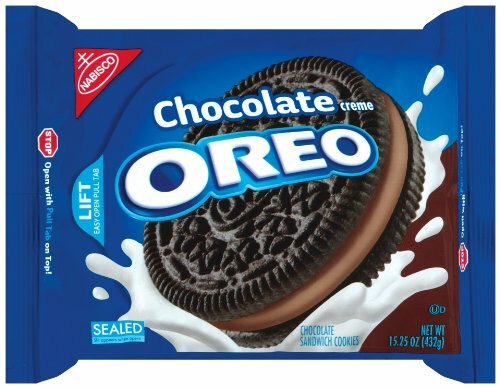 If Chocolatey is the creamy filling, then Boxstarter is the Oreo cookie that binds everything together. Boxstarter provides a framework for scriptable, repeatable installs. It’ll handle reboots, windows/microsoft updates, and you can even remotely execute these scripts on Hyper-V/Azure VMs. Since this will take some time, you’ll want to start by creating your VM and begin the installation of your Windows OS. Create a Hyper-V VM, or spin one up from the Azure VM Gallery. For Windows 10 development, you’ll have to run a local VM, so grab the latest Windows 10 ISO or if you already have a Windows 8 VM you can upgrade it to Windows 10. If you want to create an Azure VM it doesn’t appear that you can do Windows 10, so I’d suggest picking a Visual Studio VM from the image gallery (that way you can skip a few hours on this install). Save the chocolatey install commands in a new powershell script file (.ps1) – this file needs to be accessible from the VM, so I recommend putting it in something like your Dropbox public folder, or as a Github Gist. And if you’re looking for new dev apps/tools, you can refer to Scott Hanselman’s Ultimate Dev Tools List 2014. I recommend that apps that require a reboot be placed early in the script, and non-rebooting apps afterwards. The reason for this is because Boxstarter repeats the entire script after every reboot, and for already-installed packages, Chocolatey will take at least a few seconds each to verify the installation. This can get tedious, so in order to minimize repetition and delay, put rebooting apps first. The usual culprits here are Visual Studio, .NET frameworks, SQL Server, Chrome. The finishing touches on the install script are the steps to take before and after Chocolatey. Prior to Chocolatey, I recommend using Disable-UAC so that UAC won’t pop up on you during the script. After Chocolatey, you’ll want to perform Windows Updates, then Windows OS configuration, junk file cleanup, and then Enable-UAC. Again, see my gist for examples. See Using Boxstarter for more details. You’ll likely go through a dozen iterations of the install script tweaking it to get everything just right. You did create that checkpoint in step 6, right? Just restore that checkpoint and re-run the script, until everything is juuuuust right. The final tally is 24 applications installed, a fully updated and configured windows, and all I had to do was copy & paste a command into powershell. Not too shabby. Taking a bit of extra time now is definitely worth it in the long run – now that it’s easy and less time-consuming, you’ll find yourself spinning up new instances all the time, and spend more time doing the things you actually want to be doing. Y’know, fun and profit.